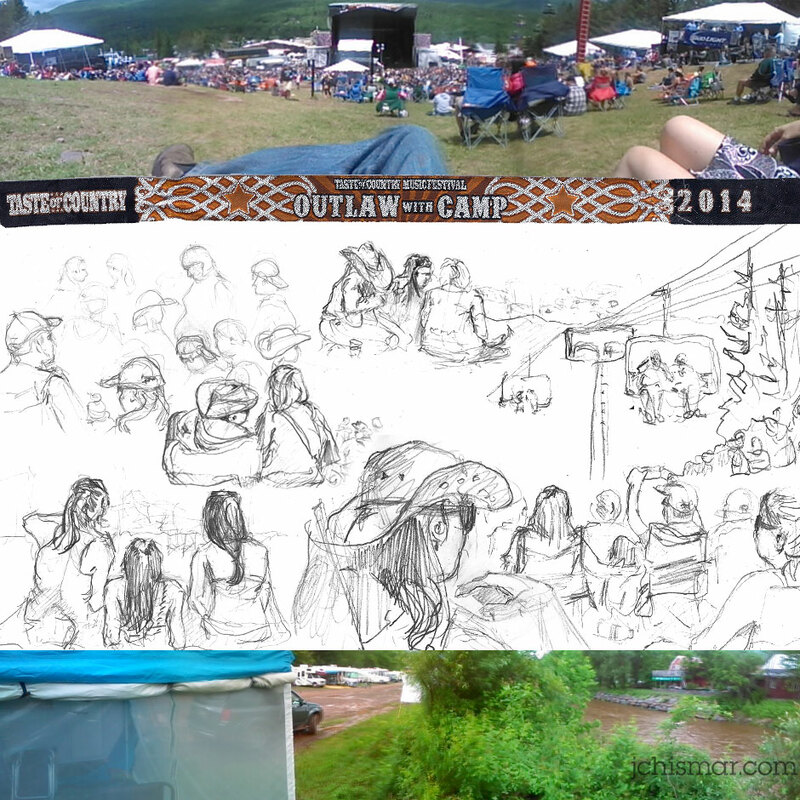 This past weekend Amy and I attended the 2014 Taste of Country Music Festival at Hunter Mountain New York. In my defense, and to stay on subject of my woodworking blog, I must say I did take a woodcarving project with me. Only a little woodcarving occurred. I would not have made it far into the venue with box of sharp tools. I chose instead to bring a pocket sized sketchbook and pencil and lounged back and practiced sketching. The weekend was full of great music. Friday night was a raucous time with Brantley Gilbert, Dierks Bentley and finale of pouring rain. Saturday was a ton of fun with little sun and The Cadillac Three. Craig Morgan kept everyone’s mind off the cool evening temperatures. Randy Houser, abandoning his band and broke down bus in Pittsburgh earlier in the day, treated the crowd by crooning unplugged. Sunday was a sunny scorcher with great tunes provided by Tyler Farr and Thomas Rhett. Thompson Square rounded out the festival delightfully. We will be returning next year ready to muddy up our tires and boots while camping riverside. To continue my workshop and storage reboot I collected the remaining bits of the red oak log used to build the BMO sculpture. I planed every piece to an even thickness to determine the usable quantity of stock. Some measurement confirmed there was enough wood to make a small, handsome cutting board. 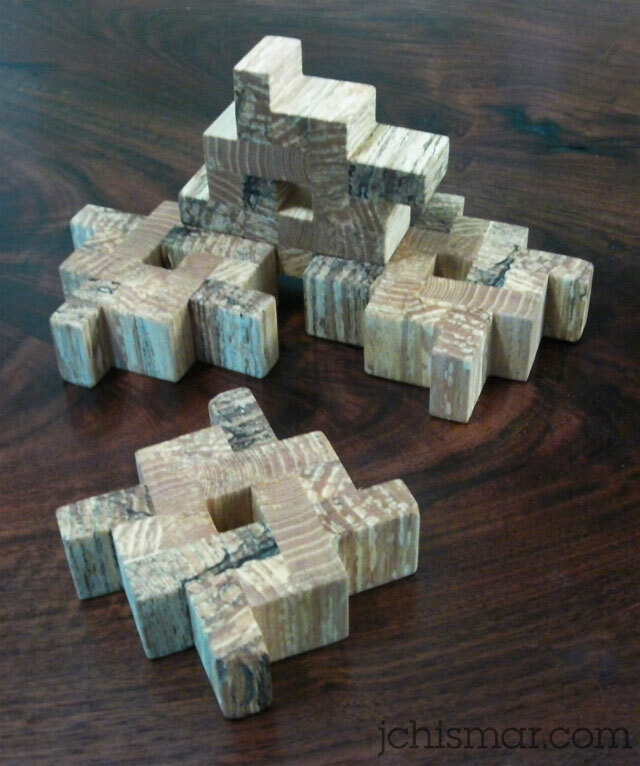 A few small pieces of black walnut were also utilized in the joining of the wood into the final piece to add some visual interest. 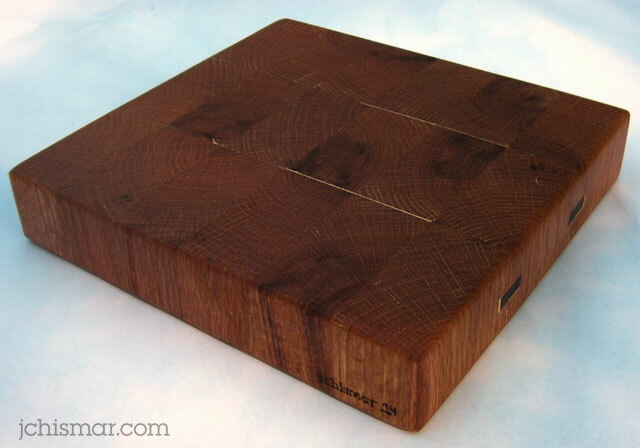 The final cutting board looks great. I continue to be amazed by how a storm fallen tree can be used to make so many fun, interesting and useful objects of art. I’ve been busy in the workshop with whirligig parts for eBay and also organizing the many tools and wood inventory I’ve accumulated over the years. The limited space requires rearranging half the shop to make an area to work with each individual tool. I will give the workshop a complete overhaul one of these days, but to make room I need unleash my inner artist on some of the beautiful wood specimens I’ve personally collected from Mother Nature. This particularly spectacular specimen I found in my stash while preparing for the Newark Maker Faire. With this branch I created an exhibit illustrating various ways wood is milled. My plan was to use the wood for kindling after the faire because planing such tiny pieces of wood is generally not worthwhile. The beautiful grain and imperfections charmed their way from the flames and into the workshop. One of the big problems with working with small pieces of lumber is figuring out what to build with it. I allowed the wood to dictate the direction without taxing my brain exploring potential projects. After planing each board to an equal thickness I placed the boards on the bench exploring various combinations. I started joining pieces together without a specific destination in mind. I’ve titled the result of this process “hashtag coasters”. The four coasters can be arranged in various artful ways or used for beverages when the situation arises. A storm fallen tree branch has culminated several years later as this piece of art representing hours of thoughtful work of hand and mind.